Ambiguous and tenebrous, hypnotic and ethereal, the third installment of guitarist Luigi Archetti and violinist Bo Wiget's Low Tide Digital series is a profoundly human synthesis of the electro and acoustic. Each of the fourteen "Stück" pieces is a vital voyage into the melding of natural and digital timbres. The duo fully explores and stretches the possibilities of their chosen instrumentation, mostly beyond any definable recognition, into an otherworldly synthetic sea that bubbles with tension, elegance and, importantly, humanity. Repeated listens reveal a range of themes; each examined from a variety of directions and, across the course of the album, delicately unfurled to show the maximum possibility of every sonic experiment. Spritely melodic bubbles fizzle and pop under granite ambient textures in " Stück 26." Sepharic sine waves, drenched in electronic manipulation, are stretched momentarily in harmonic unison before each line's parallel is slowly revealed in a trance-inducing quality, moaning like alien sea creatures, on " Stück 27" and " Stück 31." On " Stück 28" and " Stück 29," deep bass throbs propel the experiments in a similarly hypnotic quality, as finite layers of strings, plucked or bowed, rest above the pulsating tones like ice sheets resting on shifting tectonic plates. The ingenuity of pairing Archetti and Wiget's guitar and violin is brought to the fore on " Stück 25" and " Stück 37," simplistic tone pieces built around each instrument's natural timbre and delicately emphasized by subtle machinations. There is also the rare explosion of pure white noise and mechanical disintegration, harnessed by the ferociousness of Merzbow, to keep things on the edge; " Stück 30" is particularly brutal. The overriding arch of Low Tide Digitals III is built upon many faculties, with most tracks including all or a variety of the described techniques. This insures the discs' cohesiveness, with each element employed to sustain a journey through its mercurial soundscapes. A likeness to the recent output of Supersilent and Huntsville can be found in the way the duo slowly builds its terrain of sounds, but these pieces feel more contained and cerebral than their label mates,' with an aim to sustain rather than rapidly diversify. 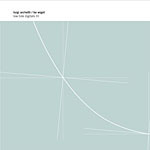 Produced with a high level of detail and empathy (an aspect sorely lacking in similar electro-acoustic groups which are often overtly clinical and academic), Archetti and Wiget have found a near perfect balance of blending elements organic and electric into a mesmerizing amalgamationall the more dumbfounding, considering all the material is improvised. Rumoured to be the final installment, this is a totally beguiling entrance into an already impressive series and perhaps the apex of the duo's experiments. Low Tide Digitals III is a fine edition to the Rune Grammofon cataloguea label at the forefront of new musicas well as an introduction to electro/acoustic improvisation. Track Listing: Stück 24; Stück 25; Stück 26; Stück 27; Stück 28; Stück 29; Stück 30; Stück 31; Stück 32; Stück 33; Stück 34; Stück 35; Stück 36; Stück 37. Personnel: Luigi Archetti: guitars, mandolin, electronics, vocals. Bo Wiget: cello, viola, electronics.